Go to the expedition page. 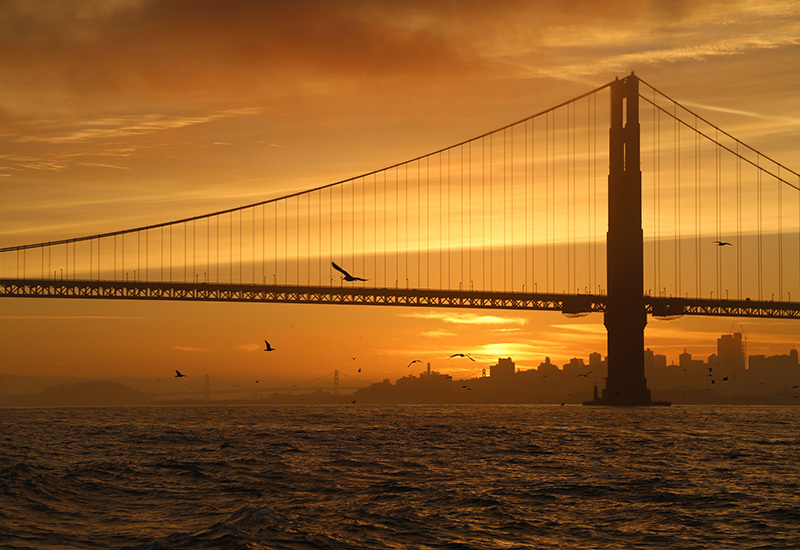 Beautiful San Francisco sunrise through the Golden Gate Bridge on the first day of expedition. 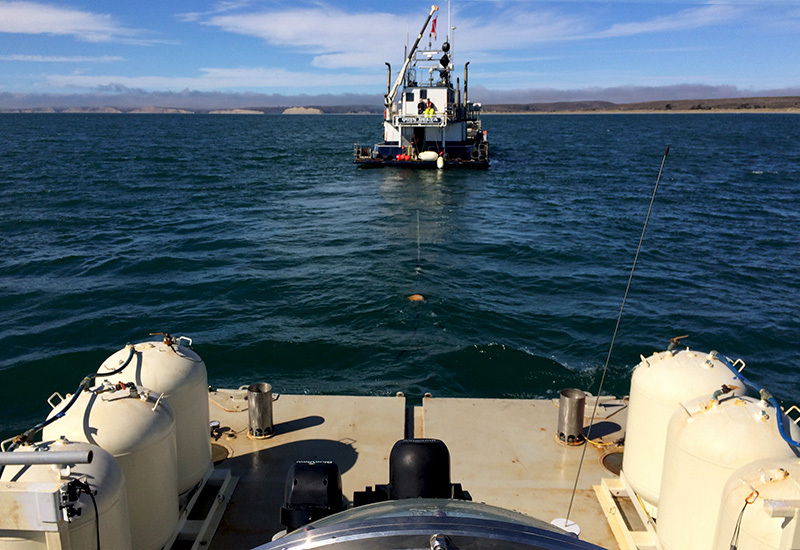 Ms.Lars and Cyclops 1 under tow by R/V Quin Delta to the dive site. 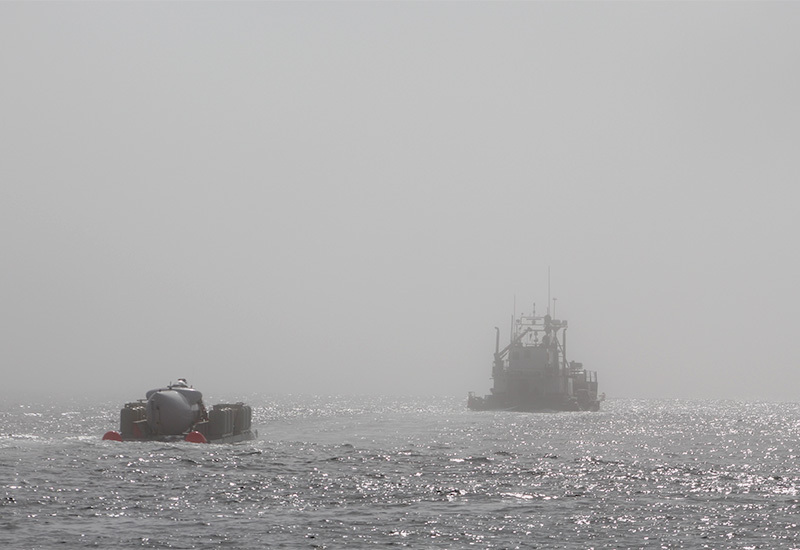 Ms.Lars and Cyclops 1 under tow around dive site while crew waits for the fog to clear. 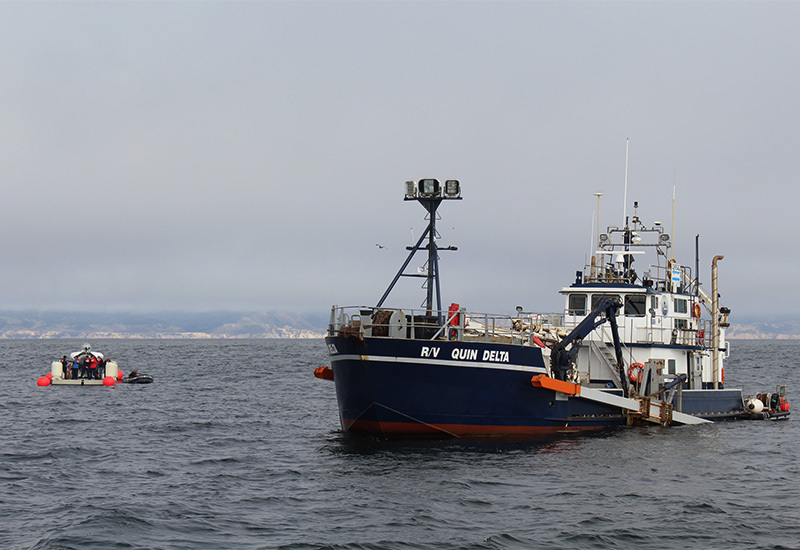 Quin Delta sails alongside Ms.Lars and Cyclops 1 for dive operations support. 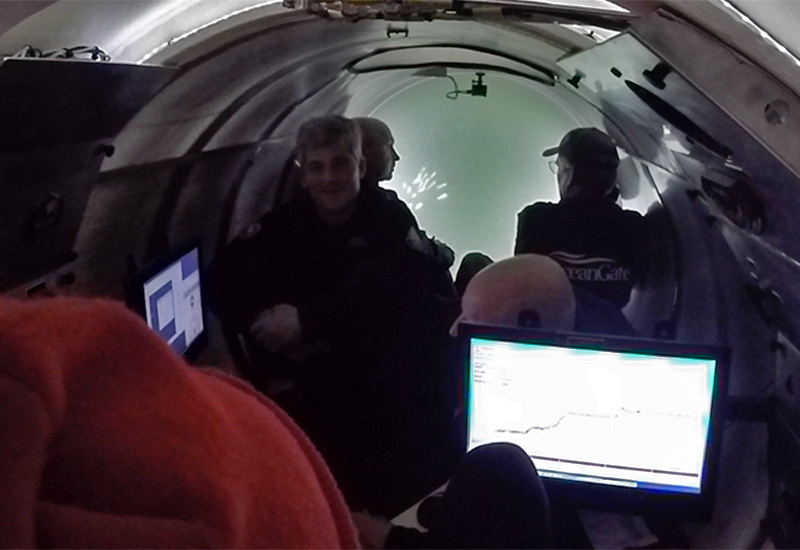 A view from atop Cyclops and Ms.Lars of the Quin Delta before a dive. 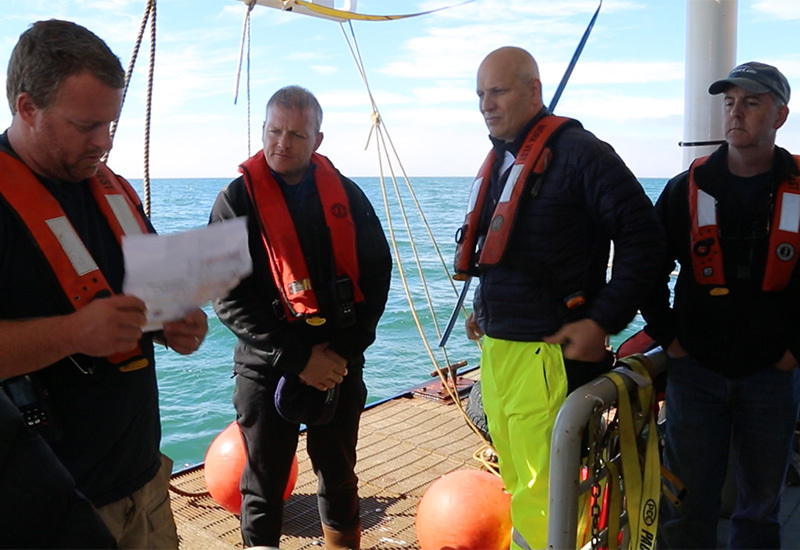 Expedition Leader Scott conducts a safety brief with pilot David and mission specialists prior to a dive. 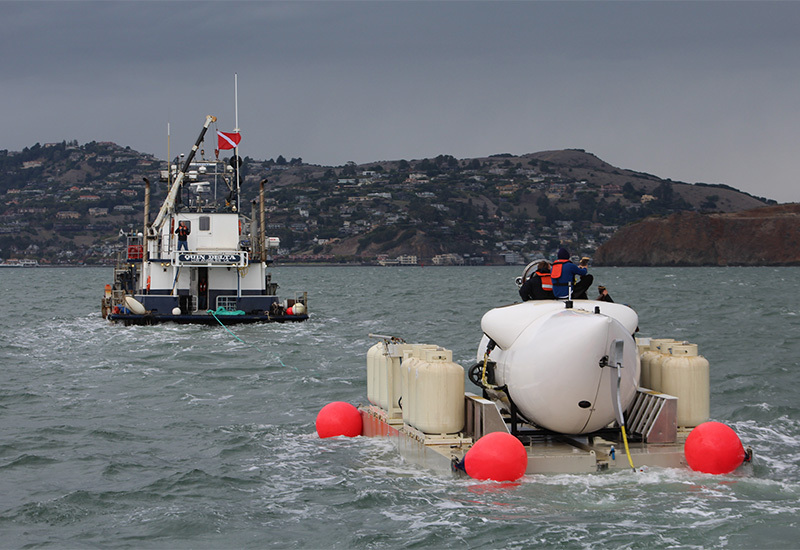 Cyclops 1 begins to submerge for underwater launch off Ms.Lars. 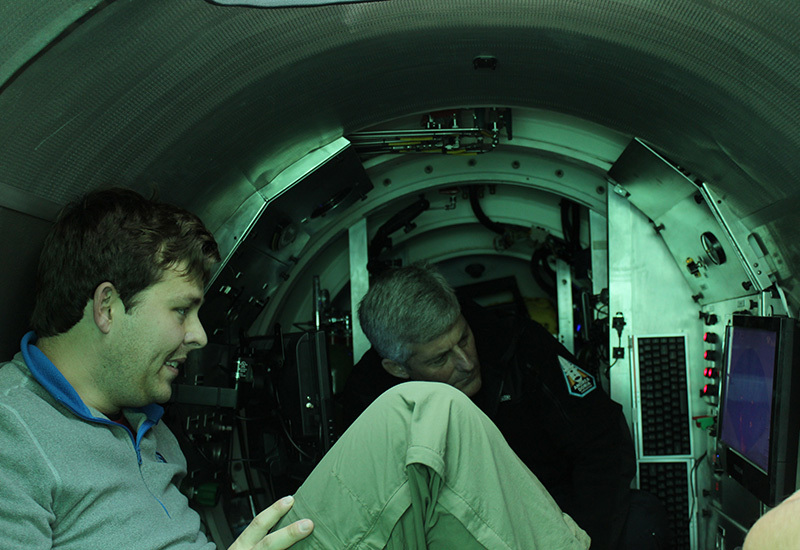 Pilot Stockton and mission specialist Ben conduct a sonar scan onboard Cyclops 1 as part of dive operations. 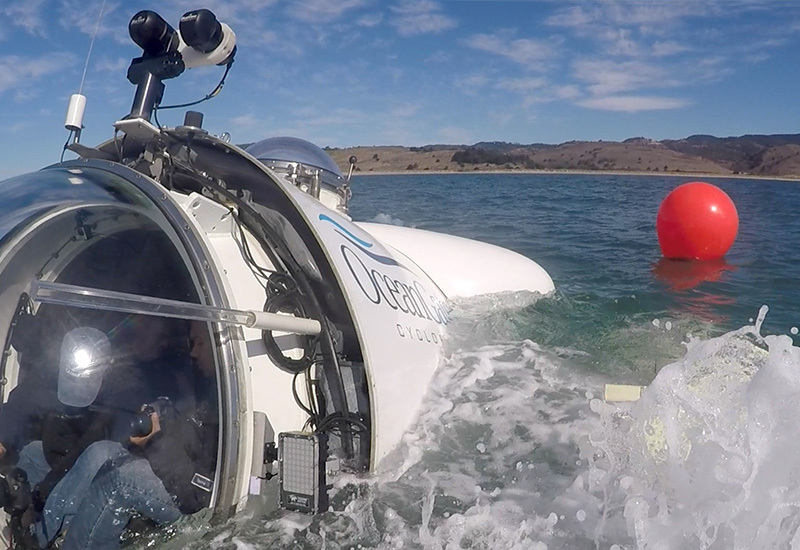 OceanGate crew member Tym transports the dive crew to Ms.Lars from El Dorado. 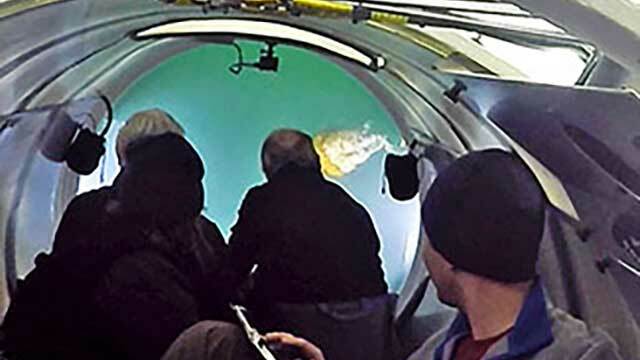 Mission specialists observe a jellyfish through the viewing dome. 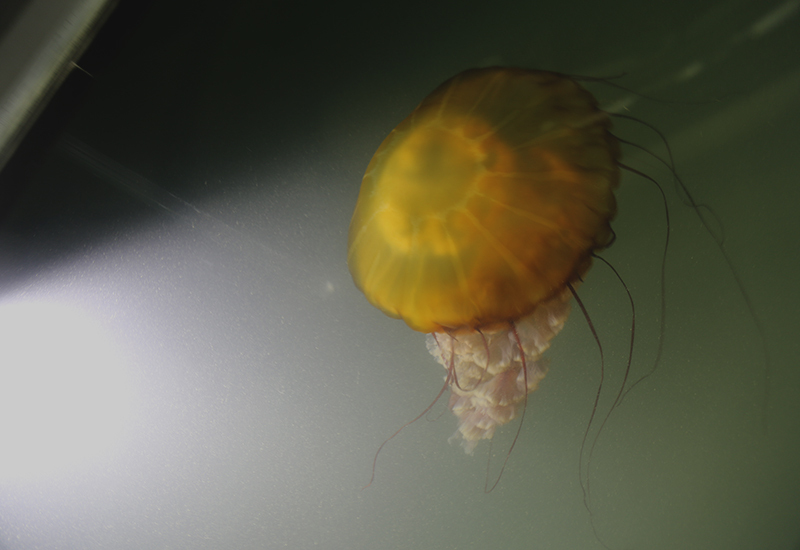 Close up view of jellyfish through the viewing dome of Cyclops 1. 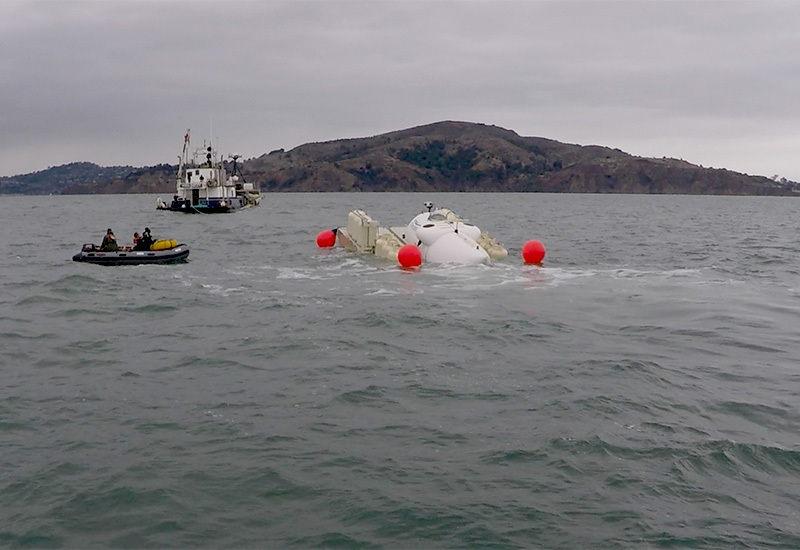 Ms.Lars and Cyclops 1 resurface near Angel Island after a dive mission. 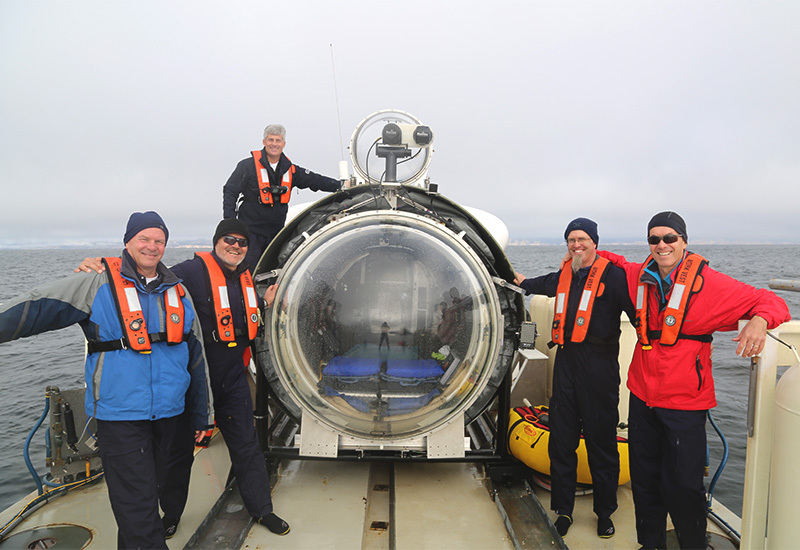 Crew takes a group photo onboard Ms.Lars prior to dive operations. 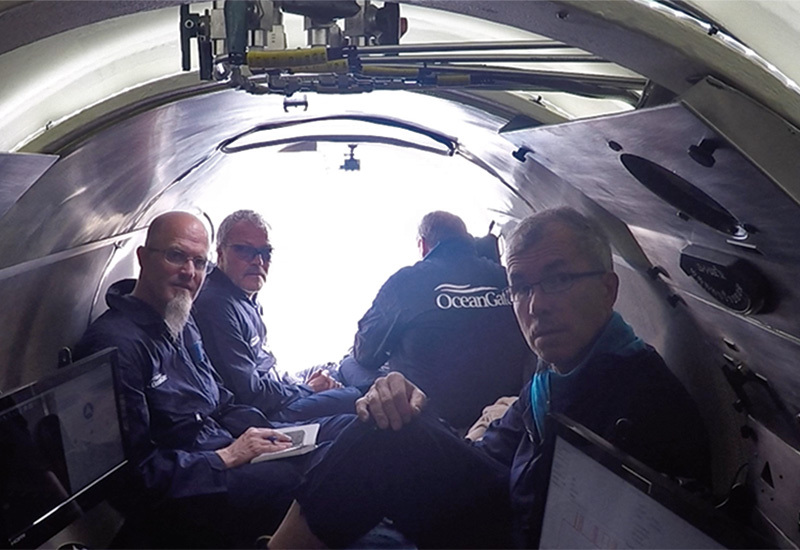 Mission specialists Doug, Greg, Geof and Justin onboard Cyclops 1. 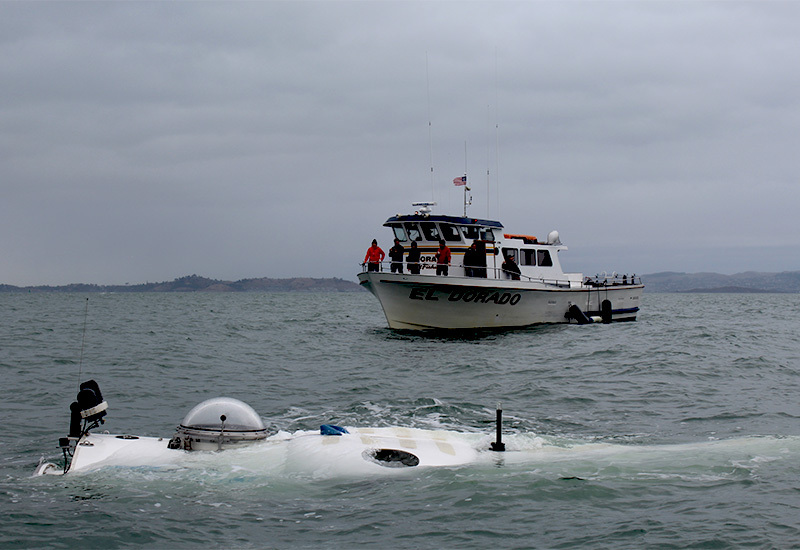 Cyclops 1 resurfaces after a dive in front of observers onboard El Dorado. 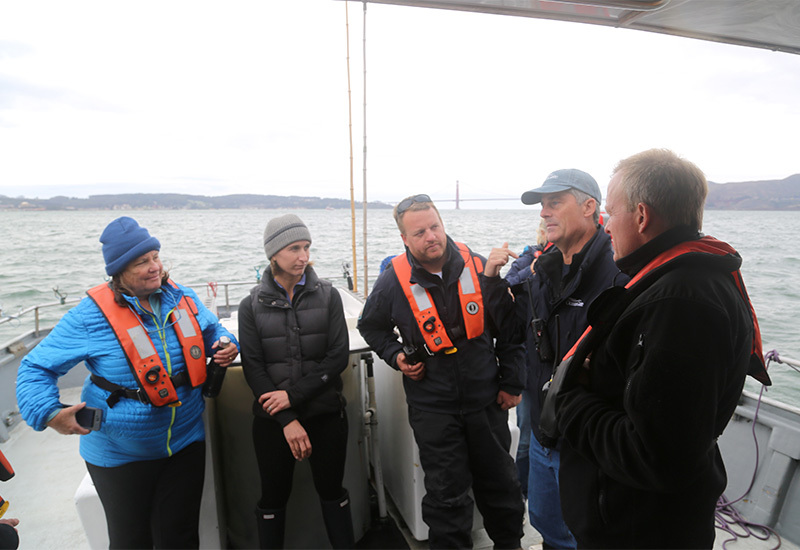 Mission specialists Dru and Sarah receive dive update from OceanGate dive crew. 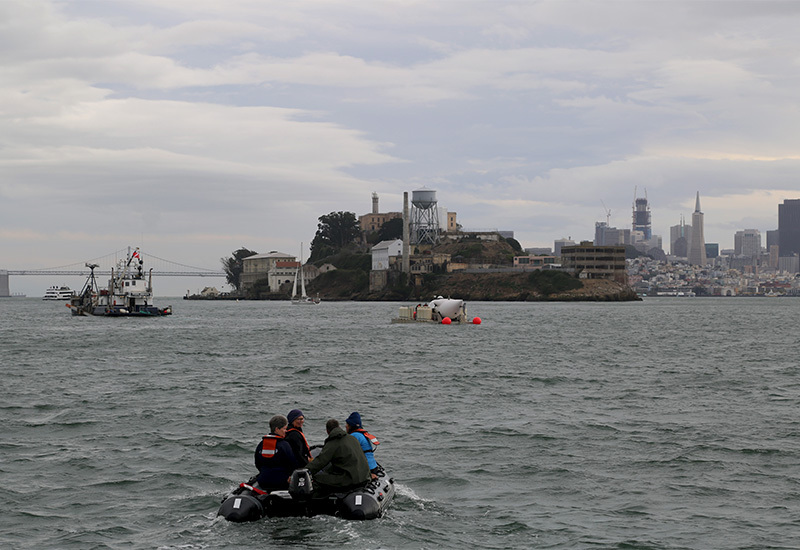 Team enroute to Ms.Lars for dive operations. 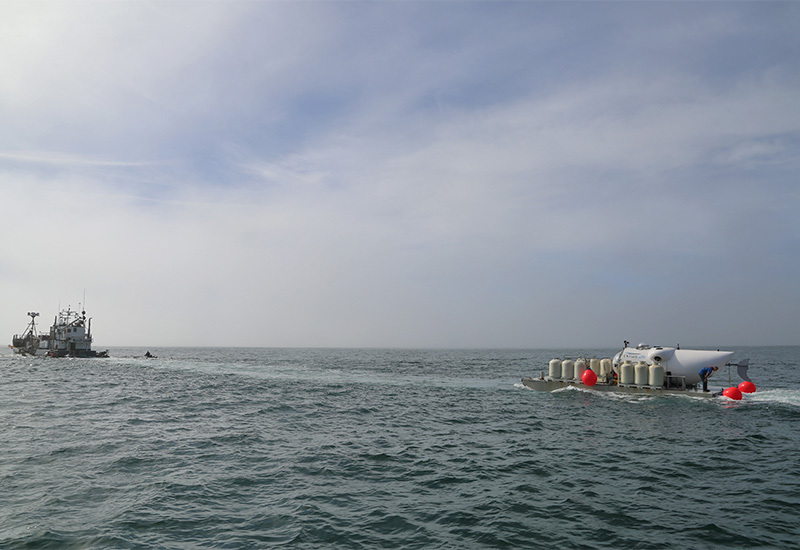 Mission specialist Dru disembark Cyclops 1 after a dive. 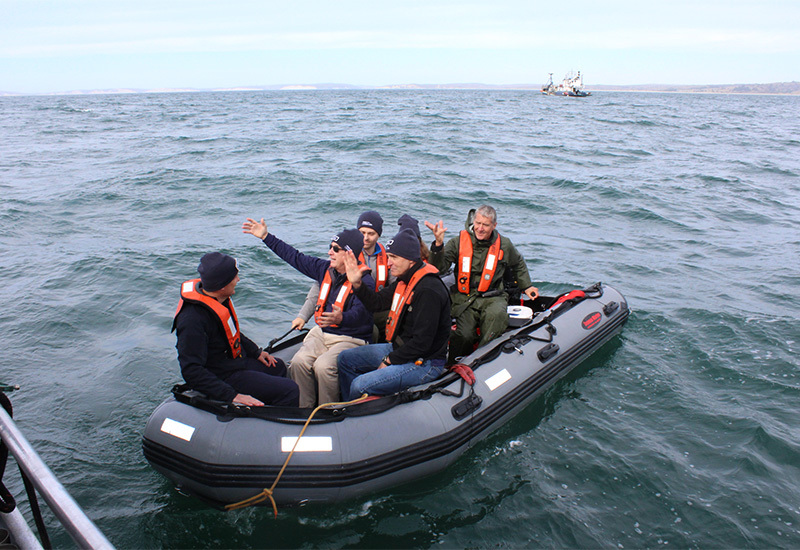 Mission specialists Peter and Paul watch a school of anchovies approach the viewing dome. 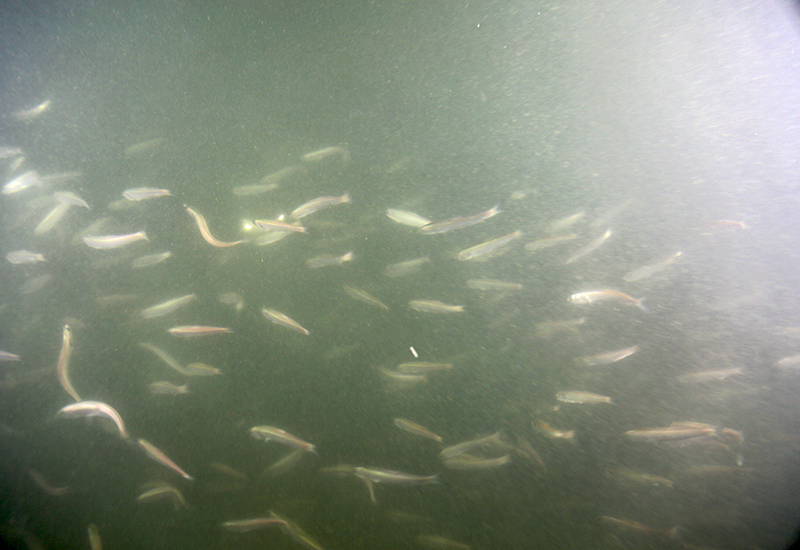 A school of anchovies swim passed the viewing dome of Cyclops 1. 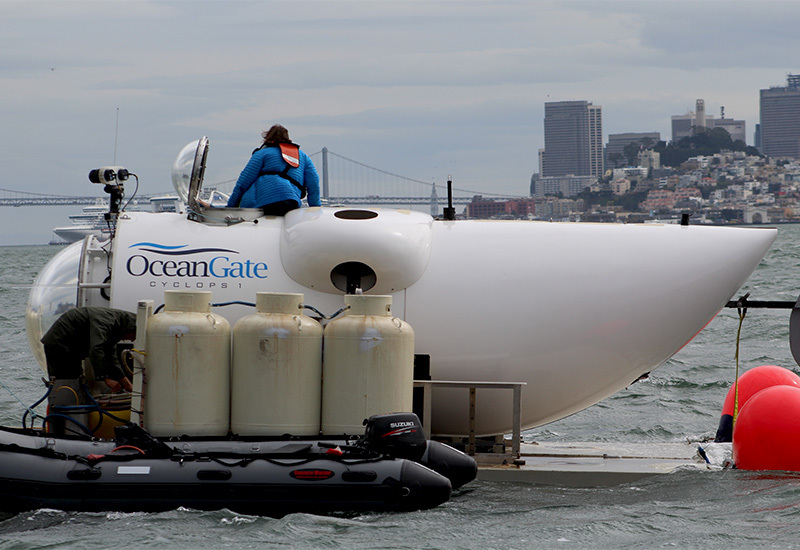 Ms.Lars and Cyclops 1 under tow after dive operations. 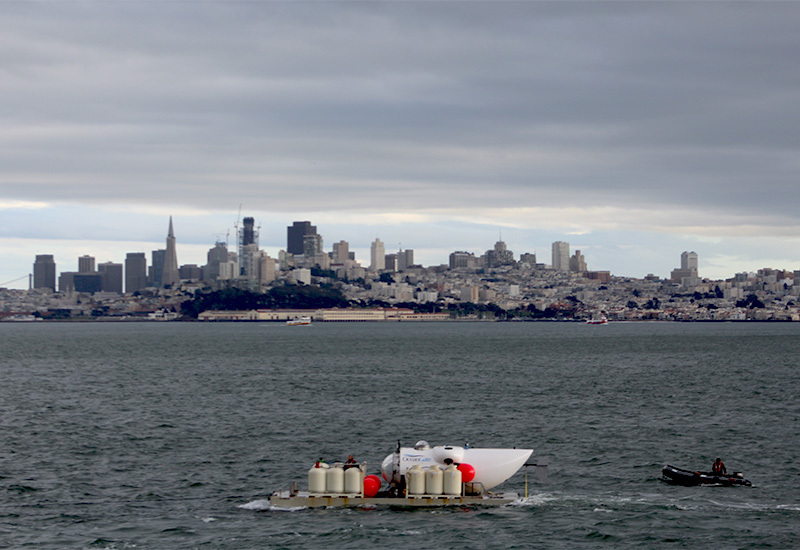 Ms.Lars and Cyclops 1 in San Francisco Bay under tow heading to a dive around Alcatraz Island. 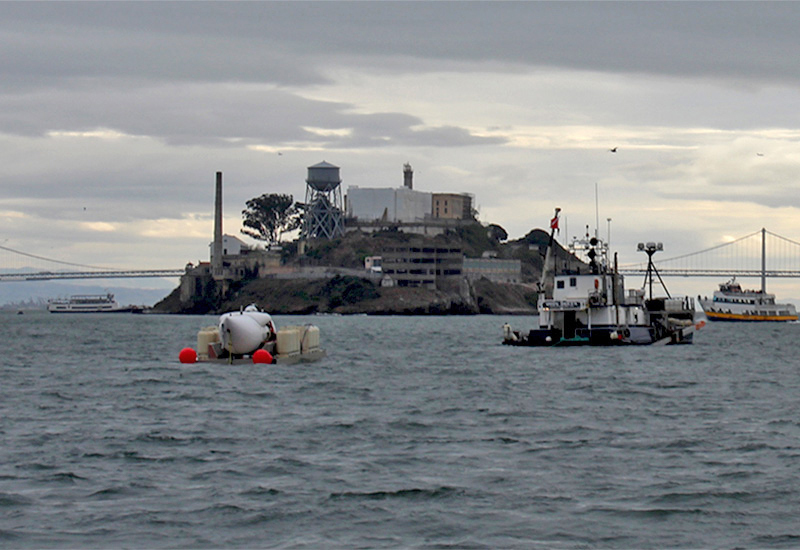 Ms.Lars and Cyclops 1 under tow near Alcatraz Island during dive operations. 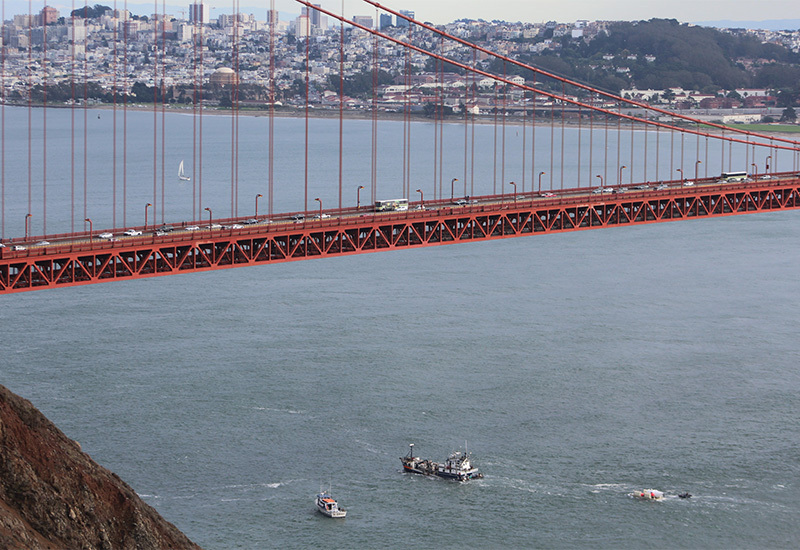 Ms.Lars and Cyclops 1 along with R/V Quin Delta and El Dorado cruise under the Golden Gate Bridge and into San Francisco Bay.